Only native translators from Catalonia can deliver perfect translations into Catalan. 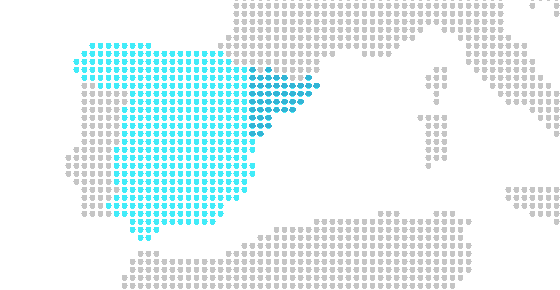 Based in Barcelona, capital of Catalonia (Spain), our agency has Catalan as one of its mother tongues. Your trusted Catalan translation agency. More than 15 years' experience delivering top-notch Catalan translations to clients all around the world, from our headquarters in Barcelona, Spain, and through our delegations in Europe and USA. Work with 100% native Catalan translators from Barcelona. We are a small, dedicated and reliable translation agency. We deliver rich, precise, fresh and authentic translations, as if they had been originally written in Catalan; an effort few agencies are willing to make. All of our translators are native speakers, and always translate into their mother tongue. When translating into Catalan, we work with Catalan translators from Barcelona. We translate many language pairs, but English or Spanish to Catalan is one of our most demanded language combination, hence we can offer very competitive rates and fast turnaround. How much does a translation into Catalan cost? A good translation into Catalan should never seem like a translation. All our translations into Catalan are always carried out by 100% native Catalan translators, working in the mother tongue, and who are completely fluent in the source languages, i.e. English, Spanish, French, German or Italian. We work with Catalan translators who specialise in a range of fields such as business, marketing, legal and technical: technology, engineering, IT, industrial, medicine, tourism, sworn translations, etc. Every translation is checked by a second native Catalan translator to make sure there are no mistakes. We work with translation memories, glossaries and terminology databases. How much does a Catalan translation cost? We offer top quality translations into Catalan, at very affordable prices. 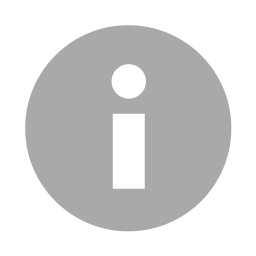 Rates starting at EUR 0.08 for simple translations of Word files from English into Catalan. Professional translators - interpreters for meetings, visits, courses, events and congresses. Native Catalan translators and interpreters, fully bilingual in both Catalan and English. Widespread availability in Spain, UK, France, Italy and other European countries. Need a good translation into Catalan? Timely delivery of your translation from or into Catalan within the agreed deadline. Translation from English, Spanish, English (or another language) into Catalan, always carried out by an expert native translator. Proofreading in Catalan, always carried out by a 100% native Catalan translator and expert on the subject. The crucial role that Catalan language plays in Catalonian identity is widely known. Catalan is without a doubt the key to the heart of the Catalan people. Catalan, a symbol of strength and identity. Catalan is, like Spanish, an official language throughout all of Catalonia. But, the truth is, Catalan is the most widely used – on the street, in the workplace, schools, administrations and universities. Catalan lies deep within the roots of Catalonia and so is the key to success for any business made in the region. At Ibidem Group we translate thousands of words into Catalan every year, always using experienced, local native Catalan translators to guarantee the very best quality. This is the only way to achieve a fluent Catalan text, that has style, is authentic and most importantly doesn't appear to be a translation. If you're in need of a Catalan translation, we're your best option. Here are some of our latest English or Spanish into Catalan translation projects. Freixanet translates their new website into Catalan. The prestigious web agency, eMascaro, requests Ibidem Group to carry out another project for the launch of Freixanet's new website in Catalan. 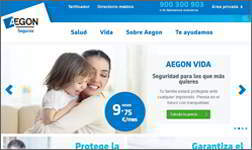 The insurance company AEGON collaborate with Ibidem Group via their marketing agency PDM to carry out the translation of their leaflets and brochures into Catalan highlighting the start of their marketing campaign in Catalonia. 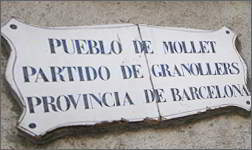 The town of Mollet trusts Ibidem Group to carry out their Catalan translations. Ibidem Group signs a deal with Mollet towm council to complete their Catalan translations, including legal documents, PowerPoints, contracts, webpages, apps, etc. 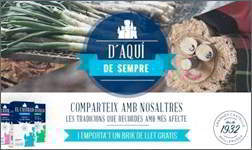 El Castillo translates their media communications into Catalan. Havas, one of the most famous marketing companies in the industry, hires Ibidem Group to translate El Castillo social media campaign into Catalan.